Cirkuswiese is a small beer garden in Munich next to the “Wiesn” where the Oktoberfest takes place. 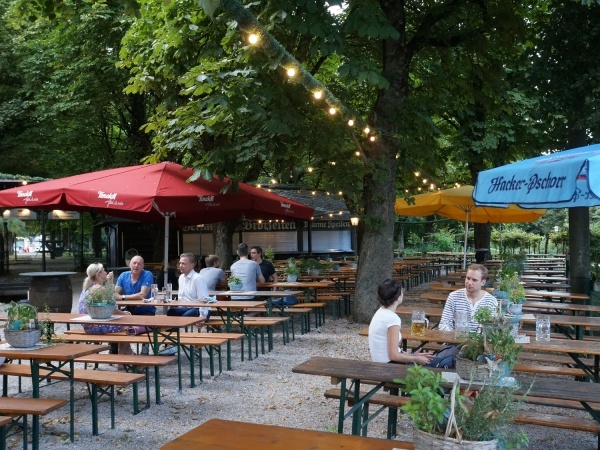 The beer garden is part of the Hacker-Pschorr property which until 2017 operated a beer hall across the road. Cirkuswiese remains open throughout the Oktoberfest festivities. After many years of neglect, Cirkuswiese reopened in 2016 by a new and current innkeeper, fisherman Robert Kneidl from Austria. Food offered include Steckerlfisch (fish on a stick), such as trout, char, salmon trout, zander, mackerel. Additionally, there are baguettes with salmon, matie or herring. Other fish snacks include fried fish, calamari, scampi and fish nuggets. Meat eaters can order bratwurst, spare ribs and burger along with various side dishes. 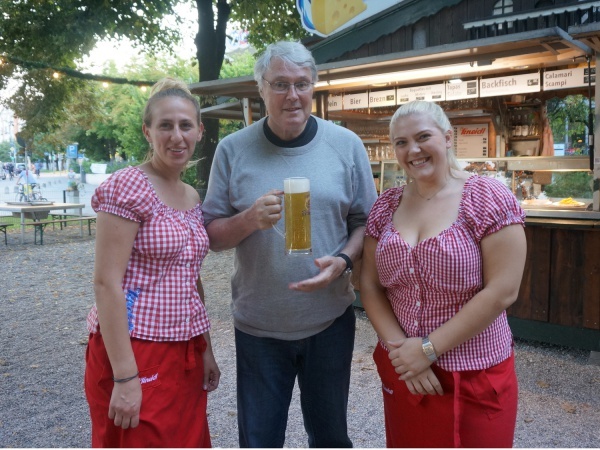 The beer is from Hacker-Pschorr and a Maß Helles (lager) costs €7.60 (July 2016). The prices and menu are different throughout the Oktoberfest. There are three grill tables for about 20 guests each and fresh fish can be bought at the food stall and grilled directly at your table. The beer garden provides the charcoal and advice. Although the location is surrounded by many offices and the Octoberfest building grounds, the beer garden remains closed during lunch hours. 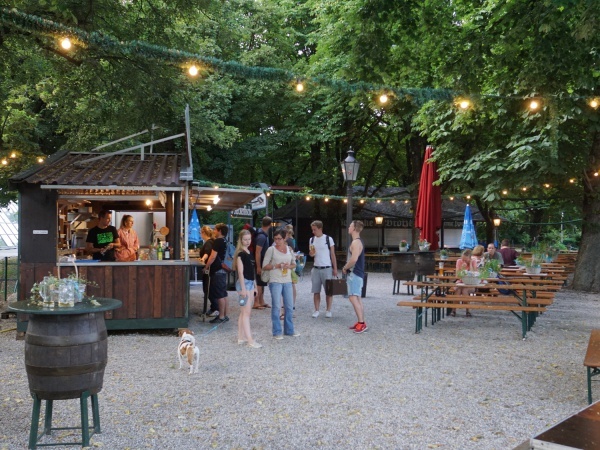 However, as the gates do not close, visitors may be able to buy a drink at the brewery across the road and bring it over to Cirkuswiese. While it may not be automatically apparent, guests can also bring their own food according to Munich tradition. Cirkuswiese is open when the weather is good on weekdays between 5pm and 11pm, on Saturdays between 3pm and 11pm and on Sundays from 11am to 11pm.